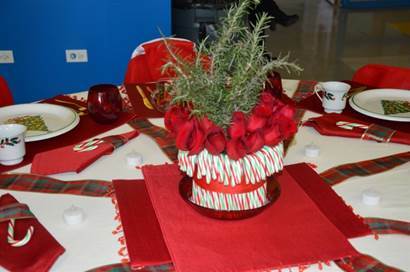 Table #2 by Faye Nabors & Jeanette Hobbs. 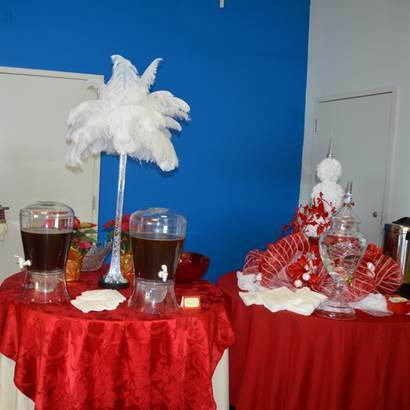 Prizes in both categories were $100 for First Place, $75 for Second Place and $50 for Third Place. 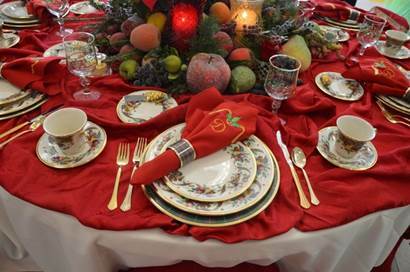 It’s a shame that only 3 winners could be selected. 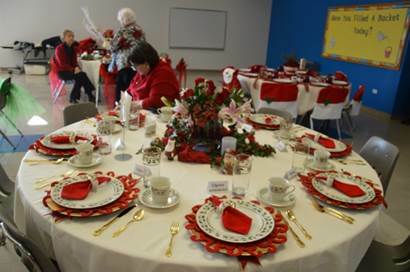 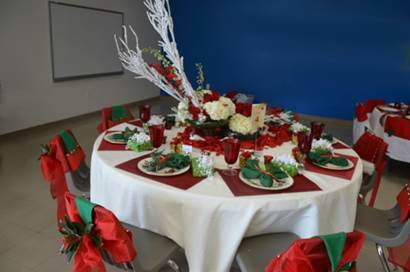 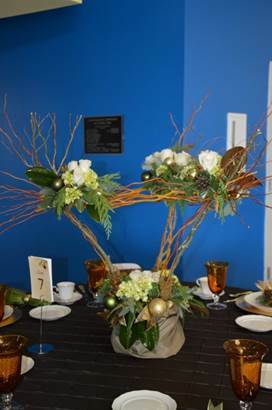 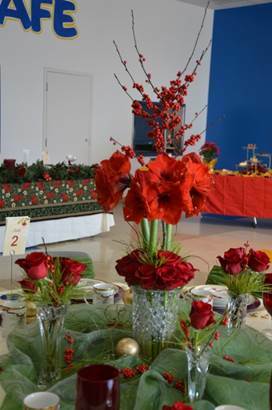 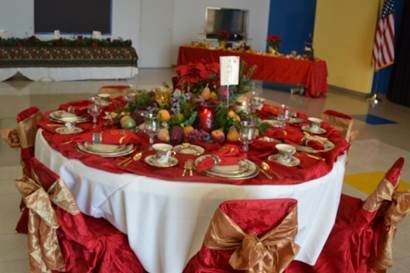 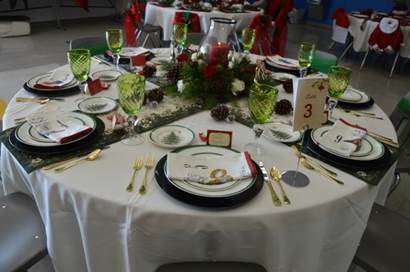 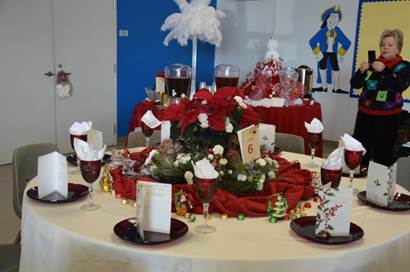 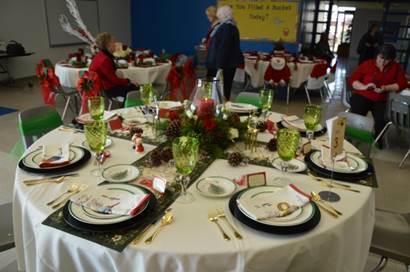 All the tables were great – and they contributed greatly to a very festive luncheon. 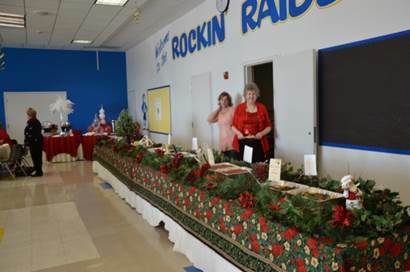 We also thank the Fine Arts Departments at the Sunnyvale Middle and High Schools for entertaining us. 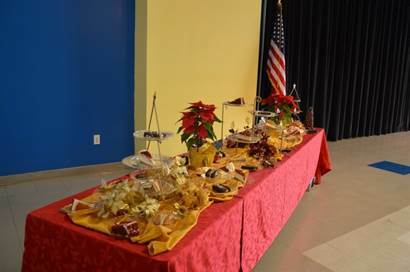 As a small thank you, the Club contributed a $50 iTunes gift card to each group. 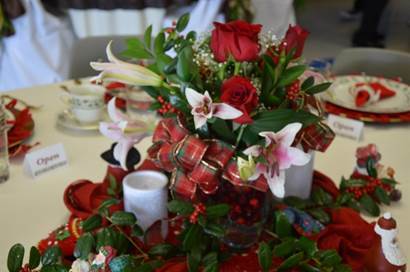 (They don’t buy sheet music anymore – they download from iTunes!) 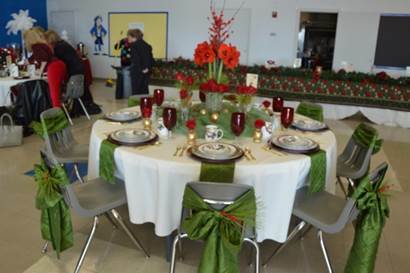 Of course, we must thank SISD for allowing us to use this space at the old elementary school. 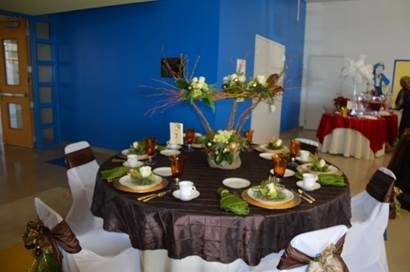 We are so blessed to have such a versatile space available to us. 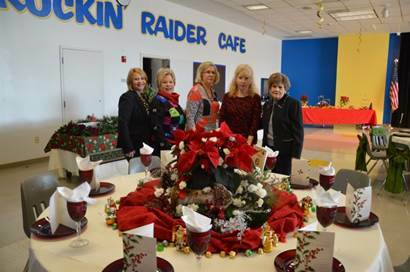 We were happy that Doug Williams and Carol Martel could join us for lunch. 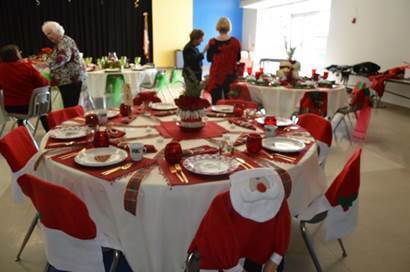 We had 52 members and guests attending.